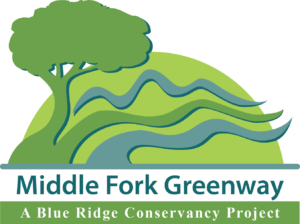 The 2019 Blue Ridge Relay is thrilled to partner with the Blue Ridge Conservancy’s Middle Fork Greenway project. The Middle Fork Greenway (MFG) is an emerging multi-use greenway connecting Blowing Rock to Boone, naturally. The mission of MFG is to preserve an expanse of greenspace along the middle headwaters of the South Fork/New River that will protect the natural, scenic, historic and cultural resources of the corridor. When complete the 6-½ mile pedestrian and bicycling path will provide connections to the Mountains-to-Sea Trail, Blue Ridge Parkway, and three county-owned parks, including the Boone Greenway. One mile of the trail is complete and 2.2 miles are in construction planning phase. The vision is to eventually link a wide network of all manner of proposed trails throughout northwest North Carolina. The synergy of river, protective green space, and trail will yield an array of benefits—to health and the community–making this beautiful place an even better place to live and visit. 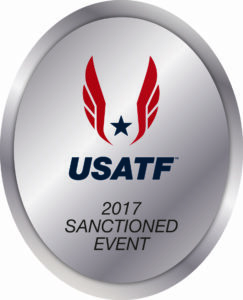 BRC is protecting land that is valued by runners and outdoor enthusiasts. BRC has protected over 20,000 acres in the Blue Ridge Relay corridor including the following counties: Ashe (Legs 2-10), Watauga (Legs 10-15), Avery (Legs 15-21), Mitchell (Legs 21-27) and Yancey (Legs 27-31). The MFG will create a safe and scenic path for runners (and cyclists) connecting Boone’s Greenway to the Blue Ridge Parkway, Mountains-to-Sea Trail and Moses Cone Park, creating an incredible array of running, walking and cycling options for residents and guests of the High Country. Donate today so you can be a part of this legacy Blue Ridge Conservancy project to build a premier greenway trail while protecting our natural resources in the North Carolina High Country! To donate, visit www.MiddleForkGreenway.org/donate/ and in the comment box write Blue Ridge Relay! BRR runners, we want you to know that BRR will continue to financially support the community groups that staff the BRR course. Our relationship with MFG will not impact our support of our outstanding volunteer groups. In addition, for those individuals and teams that make additional contributions to select community groups, please maintain those relationships…we don’t want our relationship with MFG to remove support from other worthy groups. However, your support of MFG is greatly appreciated.